CDVCA member fund Bridges Ventures recently announced its first investment in the United States with Springboard Education, a provider of affordable before- and after-school educational programming to 6,000 children at 52 public and charter schools. In addition to the financial investment, Bridges Ventures will also bring in experienced educators to the board of directors, help recruit additional team members, create opportunities for new school partnerships, and increase scholarships for disadvantaged students. Overall, the investment in Springboard Education will help increase accessibility to its programs, allowing tens of thousands of children cross the U.S. to be served. 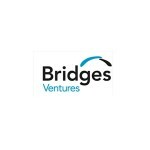 This first investment by Bridges’ U.S. office builds on over a decade long’s focus on education-sector investment by Bridges Ventures’ principles in the U.S. and the U.K.